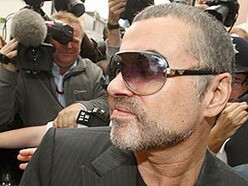 Following a July incident during which he crashed his car into a London photo store while under the influence of marijuana, George Michael checked himself into a drug rehab clinic and today continues with outpatient counseling. George Michael has completed a 14 day detoxification and rehab in London and is now participating in multiple sessions of outpatient counseling per week. The singer announced the treatment on his personal website and also thanked those involved for allowing him to begin his therapy in privacy. He said that he checked himself into a treatment center on July 5th, the day after his arrest in London on charges of marijuana possession and driving under the influence of drugs. Michael has a history of drugged driving crashes. He has pled guilty to all the latest charges and awaits sentencing, which the judge presiding has said could include prison time.